The fate of universal healthcare coverage that the United States has been trying to achieve for over 100 years may boil down to broccoli. 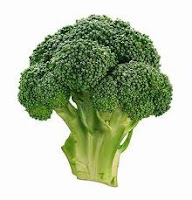 The broccoli argument is simple and was frequently referred to in the recent Supreme Court arguments: If the government can require people to buy health insurance, why couldn’t it require people to buy broccoli, which also enhances people’s health? This question, at the heart of the conservative objection to the individual mandate to buy health insurance, illustrates the so-called limiting principle the Supreme Court must rule on: Under the Commerce Clause, does Congress have the constitutional power to compel people to act, in ways they might object to, when their inaction can harm others? The High Court never got clear on why health insurance is not like broccoli and can thus be constitutionally regulated. There are two important differences that inform the principle for limiting congressional power to compel people to purchase goods and services. The difference between broccoli and health insurance is simple. It leads to a clear limiting principle. Congress can urge people to eat their broccoli, but not compel them to buy it, because the broccoli market will function regardless of what people do. 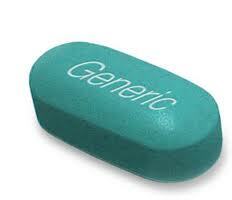 Congress can compel people to buy their health insurance because otherwise there will be no health insurance market. Dr. Henry Feldman is a mobile technology evangelist. He struts boldly around Beth Israel Deaconess Medical Center, where he works as a hospitalist and programmer, armed with an iPhone and iPad. His nickname is the iDoctor. 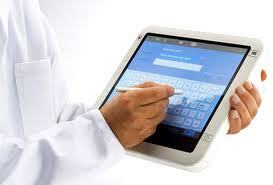 Mobile technology, he argues, has made him a better, faster physician. "It lets me do everything I could do if I was sitting at my desktop at the patient's bedside, and actually some things I couldn't easily do," he explains enthusiastically. That includes showing patients impressive new animated apps, diagrams, medical records and even photos from their own surgeries as they recover. Beth Israel, a teaching hospital for Harvard Medical School, is one of the most technically advanced hospitals in the country, especially when it comes to mobile technology. But not everyone at the hospital is quite as gung-ho as Feldman. Recently, Dr. John Halamka, the hospital's chief information officer who helped usher Beth Israel into the electronic world, has been issuing a warning: mobile technology also has a serious downside—it may distract doctors from patient care. It was an hour before his body was cut down, according to the county coroner's report. "When I saw him, my heart just sank," said Dennis Robinson, 51, a formerly homeless Army veteran who discovered Mr. Guilfoyle's body. "This is supposed to be a safe place where a vet can get help. Something failed him." Mr. Guilfoyle's death is one of a series of recent suicides by veterans who live in the jurisdiction of the Department of Veterans Affairs Palo Alto Health Care System. The Palo Alto V.A. is one of the agency's elite campuses, home to the Congressionally chartered National Center for Post-Traumatic Stress Disorder. 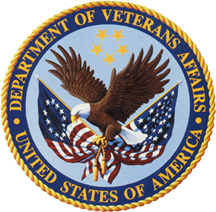 The poor record of the Department of Veterans Affairs in decreasing the high suicide rate of veterans has already emerged as a major issue for policy makers and the judiciary. On Wednesday, the V.A. Inspector General in Washington released the results of a nine-month investigation into the May 2010 death of another veteran, William Hamilton. The report said social workers at the department in Palo Alto made "no attempt" to ensure that Hamilton, a mentally ill 26-year-old who served in Iraq, was hospitalized at a department facility in the days before he killed himself by stepping in front of a train in Modesto. Brain research and associated advances such as brain-machine interfaces that are funded by the U.S. military and intelligence communities raise profound ethical concerns, caution researchers who cite the potentially lethal applications of such work and other consequences. Rapid advances in neuroscience made over the last decade have many dual-use applications of both military and civilian interest. Researchers who receive military funding — with the U.S. Department of Defense spending more than $350 million on neuroscience in 2011 — may not fully realize how dangerous their work might be, say scientists in an essay published online today (March 20) in the open-access journal PLoS Biology. The families of students who die by suicide often seek to hold colleges responsible. Lawsuits typically claim that an institution failed to pick up on warning signs or to adequately protect a student whom campus officials knew to be suicidal. Far less often does a legal action cite, say, the absence of fences on a bridge. But a lawsuit now pending against Cornell University in federal court takes that approach: It argues that the institution didn't do enough to restrict access to a particular means of suicide. Specifically, Howard I. Ginsburg alleges that Cornell was negligent for not having installed barriers on the campus bridge where, in February 2010, his son, Bradley, jumped to his death. A judge this month rejected the university's effort to have the suit dismissed, ruling that the case could continue. Limiting access to certain methods of suicide, a strategy known as means restriction, has been gaining traction among mental-health researchers. 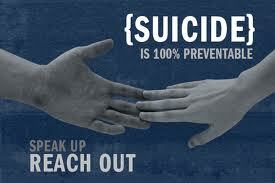 Some suicides can be prevented, the logic goes, if it's more challenging for an impulsive individual to harm himself. But on most campuses, that strategy has not taken hold. Instead, counseling and education tend to be the centerpiece of suicide-prevention efforts. Only at a few institutions, mainly where students' suicides have made headlines in recent years--like Cornell, New York University, and the Massachusetts Institute of Technology--have administrators acted, beyond locking doors to roofs, to significantly alter physical elements of the campus in the name of prevention. For not taking steps to block bridge suicides, the lawsuit says, both Cornell and the city were "negligent, careless, and reckless in failing to provide for safety and protection for vulnerable or impulsive individuals." University and city officials, Mr. Ginsburg argues, knew that area bridges were a recurring site of suicides and therefore had an obligation to restrict access to them. Cornell says it is "vigorously" fighting the suit, which Mr. Ginsburg filed in November. A subscription to Chronicle of Higher Education is needed for the full article. Georgia State University’s decision this month to replace its counseling center staff with outsourced employees is worrying those in the field, who say such moves are extremely rare and will likely prove detrimental to the mental health services available to students. The shift is doubly troubling because a number of former staff members (as well as others in the field) are accusing the university of outsourcing services as a retaliation for their complaints that some university policies involving the counseling center had the potential to hurt students. While the outsourcing was announced shortly after the complaints were made, the university says there was no relationship between the two developments. The director and two associate directors will stay on as full-time employees of Georgia State, spokeswoman Andrea Jones said. Because the staff were eliminated through a “reduction in force” process, which is done without regard to an employee’s performance, the change could not have been retaliatory, Jones said. The new model will mimic that of Georgia State’s psychiatry services and health center (both of which commonly use independent contractors). Several negative studies of second-generation antipsychotic drugs were never published, leading to an exaggerated portrayal of the agents' effectiveness in the scientific literature, researchers said. The entire editorial is here. 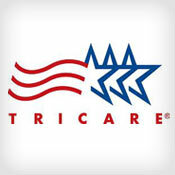 In the weeks following last year's TRICARE health information breach, some of the 4.9 million beneficiaries affected became victims of financial fraud tied to their credit cards or banking accounts. That new detail is included in an amended complaint tied to the original classaction lawsuit filed in the case, which claims the financial fraud is related to the breach incident. Eight class action lawsuits have now been filed in the wake of the case. The breach involved the theft of unencrypted computer tapes containing personal information, including Social Security numbers, but not financial data, about TRICARE beneficiaries, officials with the military health program said last year. All medical subspecialties have been subject to increased scrutiny about the ways by which their financial associations with industry, such as pharmaceutical companies, may influence, or give the appearance of influencing, recommendations in review articles, and clinical practice guidelines. Psychiatry has been at the epicenter of these concerns, in part because of high-profile cases involving ghostwriting, and failure to report industry-related income, and studies highlighting conflicts of interest in promoting psychotropic drugs. The revised Diagnostic and Statistical Manual of Mental Disorders (DSM), scheduled for publication in May 2013 by the American Psychiatric Association (APA), has created a firestorm of controversy because of questions about undue industry influence. Some have questioned whether the inclusion of new disorders (e.g., Attenuated Psychotic Risk Syndrome) and widening of the boundaries of current disorders (e.g., Adjustment Disorder Related to Bereavement) reflects corporate interests. These concerns have been raised because the nomenclature, criteria, and standardization of psychiatric disorders codified in the DSM have a large public impact in a diverse set of areas ranging from insurance claims to jurisprudence. Moreover, through its relationship to the International Classification of Diseases, the system used for classification by many countries around the world, the DSM has a global reach. 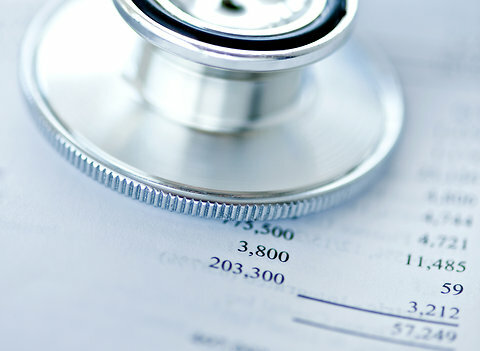 After receiving criticism that DSM-IV had no financial disclosure of panel members, to its credit the APA instituted a mandatory disclosure policy. The DSM-5 panel members are required to file financial disclosure statements, which are expected to be listed in the publication, and the APA has made a commitment to improve its management of financial conflicts of interest (FCOIs). DSM-5 press coverage has suddenly exploded—more than 100 stories from all around the world were published in just the last three weeks (see title and links below). The press is uniformly negative and extremely damaging to DSM-5, to APA, and to the credibility of psychiatry. The APA responses have been few, unconvincing, and lacking in substance. Also troubling, 47 mental health organizations have expressed their opposition to DSM-5 by endorsing a petition requesting it to have a scientific review independent of APA. And many users are planning to boycott DSM-5 altogether by substituting ICD-10-CM (which will be freely available on the internet). 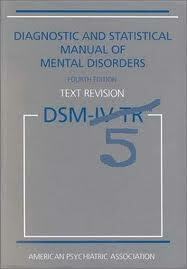 It is fair to say that DSM-5 has become an object of general public and professional scorn. 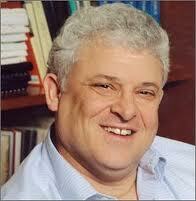 What would Mel Sabshin be doing in this time of crisis? Of course, Mel never would have allowed APA to get into this mess—but once in any crisis he was an expert in damage control. Were he here today, Mel would certainly recommend that you immediately cut the DSM-5 losses to prevent its inflicting further damage on APA, on psychiatry, and most importantly on our patients. Hiding MF Global client assets? These are all happening at JP Morgan according to an open letter reportedly written by an anonymous employee of the firm. The whistleblower also warns of a "cascading credit event being triggered" by derivatives related to Greek government debt. Unlike Greg Smith at Goldman Sachs, this whistleblower has chosen to remain anonymous for now. 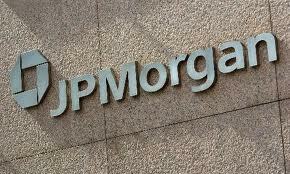 According to the letter, the whistleblower is still an employee of JP Morgan and has not resigned. But that does make it much more difficult to confirm what he is saying. With Greg Smith, we know exactly who he is and what he was doing at Goldman. As far as this anonymous whistleblower is concerned, all we have is this letter. So we must take it with a grain of salt. However, the information in this letter does agree with what whistleblowers such as Andrew Maguire have said in the past about silver manipulation by JP Morgan. And this letter does mention Greg Smith's resignation from Goldman, so we know that it must have been written in the past few days. Hopefully this letter will cause authorities to take a much closer look at the crazy things that are going on over at JP Morgan and the other big Wall Street banks. "The Comment Cannot Be Found. Please Return to the Previous Page and Try Again." Eighty-four percent of students at a public research university believe students who cheat should be punished, yet two of every three admit to having cheated themselves. 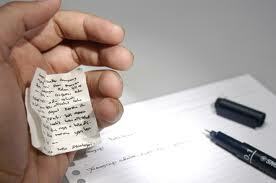 Most of the cheating students admit to involves homework, not tests, and they see academic misconduct applying differently to those two kinds of work. These findings were part of a study presented here this week at the annual convention of NASPA: Student Affairs Professionals in Higher Education. Depending on how much you buy into the “Dirty Rotten Scoundrels” theory – the idea, for which this session was named, that faculty believe students are “just a bunch of cheaters” – the findings may or may not come as a surprise. But either way, those results, coupled with the fact that many instructors devote little if any time to discussing academic integrity, led the researchers to an obvious conclusion: setting clear expectations, and repeating them early and often, is crucial. The study into the frequency and type of offenses, and the faculty policies and responses, surveyed more than 2,000 students and 600 instructors on the Arizona campus. My first formal lesson on health care costs occurred one afternoon on the wards when I was a medical student. The senior doctor in charge, a silver-haired specialist known for his thoughtful approach to patient care, had assembled several students and doctors-in-training to discuss a theoretical patient with belly pain. After describing the patient’s history and physical exam, he asked what tests we might order. One doctor-in-training proposed blood work. A fellow student suggested a urine test. Another classmate asked for abdominal X-rays. There was complete silence. Everyone turned to stare at me. That was 20 years ago, when the managed care movement was first in the headlines. Today his lesson still rings true, as doctors continue to struggle to reconcile cost consciousness with quality care. And doctors-to-be are not getting much help in learning how to do so. The heat was suffocating, and the inmates locked alone in cells in Unit 32, the state’s super-maximum-security prison, wiped away sweat as they lay on concrete slab beds. A 2009 data breach that has already cost BlueCross BlueShield of Tennessee nearly $17 million got a little more expensive Tuesday. The insurer today agreed to pay $1.5 million to the U.S. Department of Health and Human Services (HHS) to settle Health Insurance Portability and Accountability Act (HIPAA) violations related to the breach. Under the settlement, BlueCross BlueShield has also agreed to review and revise its privacy and security policies and to regularly train employees on their responsibilities under the HIPAA of 1996. The settlement is the first resulting from enforcement action taken by the HHS under Health Information Technology for Economic and Clinical Health (HITECH) breach notification requirements. The notification rules require all HIPAA-covered entities to notify affected individuals of any breach involving their health information. It also requires them to notify the HHS and the media in cases where the breach affects more than 500 people. Leon Rodriguez, director of the HHS Office for Civil Rights (OCR) said the settlement underscores the department's intent to vigorously enforce HIPAA's security and privacy rules. "This settlement sends an important message that OCR expects health plans and health care providers to have in place a carefully designed, delivered, and monitored HIPAA compliance program," Rodriguez said in a statement. But these days atypical antipsychotics — the most popular are Seroquel, Zyprexa and Abilify — are being prescribed by psychiatrists and primary-care doctors to treat a panoply of conditions for which they have not been approved, including anxiety, attention-deficit disorder, sleep difficulties, behavioral problems in toddlers and dementia. These new drugs account for more than 90 percent of the market and have eclipsed an older generation of antipsychotics. Two recent reports have found that youth in foster care, some less than a year old, are taking more psychotropic drugs than other children, including those with the severest forms of mental illness. My graduate school philosophy has always been to take things one semester at a time. I thought about the future, but usually in a “four more years until I graduate” kind of way. I figured that if I concentrated on my courses, my work (always a full-time job and sometimes part-time jobs), and my family life, I wouldn’t get too overwhelmed and things would work out fine. I attribute this approach to a lack of knowledge, but probably also to not wanting to know everything that was ahead. This approach served me well until around my fourth year when I was mid-way through practicum. It probably was not until then that I began hearing about the internship crisis and just how many students were affected by it. I convinced myself then that this only happened to “bottom of the barrel” students, i.e. those who didn’t have the best grades or who weren’t willing to work hard enough. I continued focusing on my grades; getting my practicum hours; doing extra things like more research, volunteering, and getting more involved in professional organizations, and just getting through it one semester at a time, trying to set myself apart from the rest. 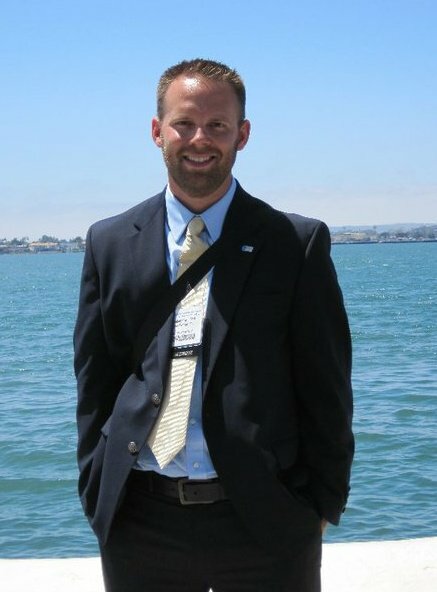 In 2010, when I was finishing my second year of practicum, I attended the annual Internship Workshop at the APA Convention in San Diego. I can’t tell you I’ve ever seen so many anxious people in one place! I had been part of the APAGS Convention Committee, so through my involvement with APA I became more aware of the internship crisis and the specifics of the issue. It was around this time that I became aware of my false beliefs about the Match, and learned that it could happen to anyone. Certainly some students were likely to be at a disadvantage, but with the many confounding variables involved in the process, these were not the only factors at work. This is when I began to feel really anxious, but I told myself that if I did all that I could do to have the best application possible, then that would be all that I could do, so I shouldn’t worry about things that are beyond my control. I had a 4.0 GPA, a good number of practicum hours, I was on an APA committee, and I had a lot of other good experience under my belt. Having a family and also working full-time to pay bills I felt I had a disadvantage, but I knew I had to just do the best I could. And not only did I have less time available, but relocation was not an option for me. I felt a lot of anxiety at this point, and as though there were so many things out of my control. At this point, as I was writing and rewriting essays, studying for my comprehensive exams, and working on my dissertation, my goal became to “match, or else”. Or else, what? What would I do if I didn’t match? What would that be like? As I began my doctoral program, and even a few years in, I had no idea of what I would soon be facing. Sure, I would finish- however things turned out, but I just didn’t see any other option but for it to work out the first time. I had invested too much time and money and have made too many sacrifices to come this far and to have my career stalled. I had a pretty good master’s level job with a nice schedule and was paying the bills, but I had been in school for over ten years and just wanted to get done. I was tired. I could have stayed at my job if needed, though I had no idea how I would begin to pay student loans during my extra, unplanned year off. I had also been promising my wife for however many years that “I’ll be done soon”. She’s not in psychology or a graduate program, so she probably only vaguely understood when I tried to explain it. And I had to explain it many times- to my wife, other family members, friends, coworkers, and so on. If I didn’t match I would have to continue to work for another year- more than that, actually, but I would reapply and hope it worked out the second time. To be honest I really couldn’t stomach that option. I also couldn’t bear the thought of graduation- and a better life for my family, being put on hold for some undefined period of time. What if I didn’t match the second time around? There was no way I could begin to think about that. Despite my anxiety I was determined to apply to all of the local sites which would be a good fit, to do my homework on them, and to ace the interviews. I literally lost a lot of sleep, but I followed every recommendation and piece of advice I was given, and though I continued to feel anxious, I tried my best to focus on my other responsibilities. So around that time I passed my comps, applied to internships, and continued with my dissertation. Though I had so much going on at once, it helped me to focus on one thing at a time, again not looking too far into the future. I applied to 22 internship sites, including a number which were in my program’s consortium. Luckily I live in the Philadelphia area and there are a lot of sites close by, though I heard it’s also a competitive area. I applied to a range of sites- some I knew were competitive (relatively speaking, since they’re ALL competitive! ), and others that I perceived as less so. I waited until the notification date and then I began to hear about interviews. My first response was a “yes” (interview), which was quickly followed by something like 15 “no’s”. I was discouraged, but ended up being invited for seven interviews. I can’t say this wasn’t a blow to my self-confidence though, as I didn’t get interviews at any APA-accredited sites. I had a lot of negative self-talk at this time, but convinced myself that I was a good candidate and things would turn out just fine. I knew this wouldn’t affect me too much for where I saw myself in the future- but since I always want to have options available, I saw it as limiting, and I was upset. By interview time I was over it though, and again determined to do my best in the interviews. I ended up going on six interviews, as one site called before my scheduled date to say that they would be closing and there would be no internship for that year. I felt more badly for the employees losing their jobs, so I wasn’t too bothered by this- particularly since it would have been a distance for me to travel and it wasn’t my top choice at that point. I had two weeks off from my job every year for winter break, so I did my best to schedule interviews during that time. Inevitably, however, I had to take time off to attend interviews. And although my employer knew what I was going through, I caught flack for taking that time off. This, of course, was another source of stress that I didn’t need, but had to manage. I went to all of my interviews, including three in one day, and tried to “knock ‘em dead”. Afterward I went over each site with my wife, weighing the pros and cons, as well as my overall feeling about each, and then I did my rankings. After that I waited until Match day, trying my best to focus on the other things I had going on at the time, such as my dissertation. This was a period of about a month, and it was out of my hands at that point and I did all that I could do. I refused to think that I might not match, while maintaining confidence that I had a lot to offer and that it had to have been noticed by someone. The night before Match day I remember getting very little sleep. It was like when I was a kid and we were going on vacation the next day- except much different. It wasn’t a feeling of pure excitement, but more of uneasiness, as I hoped for the best but feared the worst. Match day was either going to be a great day- the culmination (at that point) of a lot of time, effort, and sacrifice, and proof that I would in fact graduate on time- OR, it was going to be a terrible day, indicating that I had stalled in my quest to graduate and to have a career, and it was back to the drawing board for at least one more year. I woke up and checked my e-mail and there was nothing there yet, though I didn’t expect anything to be there. I think you were supposed to find out if you matched (and where) by 11am EST. I had to be at work by 8:00, so I tried to keep to my regular routine as much as possible, got ready, and drove to work. I had no smart phone yet, so I would have to wait until I got to work to check again. So I got to work, powered up my computer, checked my e-mail- and there it was- an e-mail from APPIC with my Match status. I opened it up and found that I had matched with my first choice internship site. I called my wife and told her about it. Again, she was excited, but didn’t really get the whole gravity of the matter or understand just how much was on the line. I updated my Facebook status, sat back and smiled, and then went to work. It was a very good day. I have been on internship since September 1st of last year and am reaching the end of my graduate school career. To be honest I feel somewhat traumatized from the whole Match experience, as well as slightly jaded about my decision to become a psychologist. I do feel positive about my future, but the continued internship crisis is no doubt doing a significant amount of harm to the profession. I felt for everyone applying for internship this year and going through the process. I wouldn’t wish the anxiety I felt about the whole process on anyone, and as it is now, I would have chosen a different path if I could go back and do it again. It would have been such a different experience if there were just enough internships to go around. I might have been concerned about where I would go and all of that, but I would know that something would work and I would graduate on time. It’s different for people of different experiences and at different points in life I’m sure, but as a husband and father to three young boys, struggling just to make it- and someone who has been in school for now 13 years, I am still so thankful that I matched. You hear about the numbers each year, and I think most people recognize that this process is tough, but that honestly doesn’t even begin to describe it. The anxiety and stress I felt at times was almost unbearable- to feel so little control over your future and what happens to you- and in some cases, your family. Sure, we would have made it had I not matched, but I am really glad that I didn’t have to resort to a plan B. It’s not fair for anyone to have to go through that, and clearly something needs to be done to resolve this internship crisis. I have been fortunate to be a part of the APAGS Committee, and APAGS is very dedicated to bringing attention to the internship crisis and to working to find answers to alleviate it. It is a very complicated issue as I have found, but most agree that the involved stakeholders need to take responsibility for their contribution to the issue, and become part of the solution instead of the problem. Although I successfully made it through the whole process, I remain very committed to helping others to get through it, as well as to brightening the future of our field of psychology. I put some questions to Krieger, and here are her responses. As you have reflected in the aftermath of your father’s death, what kind of advice might you now give to someone in a similar situation? This is what I would have done differently: I would have asked for a road map. A plan. Even if it’s just a back-of-the-envelope flow chart. What are we doing, and why? I wish someone had told me about the range of choices. Not just: “Do You Have a DNR? Treatment or not?” Rather: “We can do everything. Or we can do some things, but not others. Or we can do nothing, but keep him comfortable.” That conversation never happened. 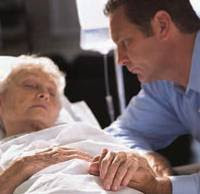 I think it is possible to have a conversation about options in aggressive treatment and palliative careat the same time-- early on, maybe upon entering the ER, or even when there is the initial dementia diagnosis. Not when things go south in the ICU. Because then you keep waiting for the perfect time to stop. There is no perfect time. 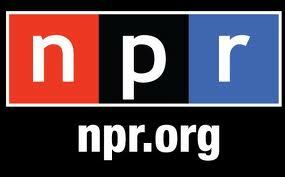 Today I would like to talk to you about a pretty thorny subject and one that is fascinating because it is so ethically rich: Should doctors ever lie to their patients? The trigger for this discussion is a study that just came out that found that doctors do lie. In fact, the study found that 20% of more than 2000 doctors surveyed admitted that they had not told patients the truth when an error had taken place. They found out that more than 10% hadn't discussed financial conflicts of interest, and 15% said they gave a rosier picture about prognosis and risk and benefit with respect to a disease. There has been a good deal of interest in this survey, and the public and some media reports are saying that this is shocking. We expect our physicians to always be truthful; this survey apparently shows that there is a considerable amount of lying going on, withholding of the truth, and not being forthright. What's wrong? Is there a huge ethical failure going on out there among doctors and medical practitioners? The answer is no. It is inexcusable and not advisable to lie about an error. You may dodge a bullet on that one by having the patient not find out, but if it really affects their care, if they wind up harmed, if they wind up having to pay more and it comes out later that you didn't tell the truth or that there was an omission of the fact that an error occurred, you are going to get clobbered. I have seen it again and again in courtrooms. It may seem the easiest way out, to avoid telling the truth when an error takes place, but getting it out there and getting it over with early is the best protection in terms of malpractice associated with error. It isn't lying. The entire story and video is here. Just one ambulatory visit for a mental health disorder may warn that a soldier is at risk for suicide, researchers said. Those who sought such help were about four times more likely to commit suicide than those who had not made any mental health visits (RR 3.9, 95% CI 3.0 to 4.9), Michelle Canham-Chervak, PhD, of the Injury Prevention Program of the U.S. Army Public Health Command, and colleagues reported online in Injury Prevention. Patients who were hospitalized with mental illness had more than a 15-fold higher risk of suicide than those not hospitalized (RR 15.5, 95% CI 11.2 to 21.5). "Soldiers seeking treatment for mental disorders and substance abuse should be a focus for suicide prevention," they wrote. 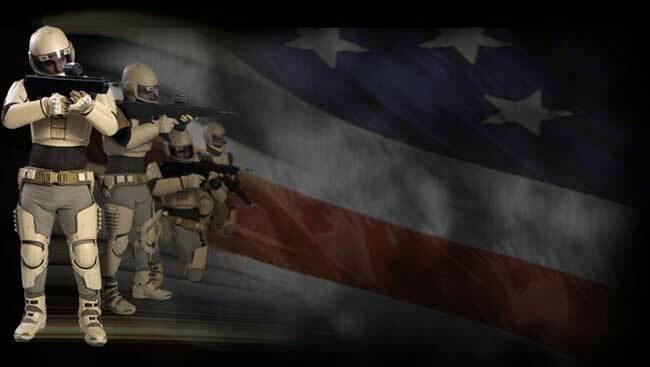 Soldier suicides have been on the rise since 2004, a trend that has been paralleled by increases in mental illness. In 2008, suicide rates among soldiers surpassed civilian rates that were adjusted for characteristics of a military population, including male gender and younger age (20 per 100,000 versus 18 per 100,000). Although suicide has long been one of the leading causes of death among those in the military, army operations between 2004 and 2008 -- including the major commitment of troops to Iraq as well as continuing operations in Afghanistan -- likely affected the nature and extent of mental health problems, the researchers said. To assess the associations between suicide and mental health disorders, Canham-Chervak and colleagues looked at U.S. military data from 2007-2008, during which time 255 soldiers committed suicide. Factors associated with a higher suicide risk included being male, younger, and Caucasian, as well as having a lower enlisted rank. Terri Schmidt, an emergency room doctor at Oregon Health and Science University, can't forget the day an elderly man with congestive heart failure came into the hospital from a nursing home. The man hadn't filled in a medical directive form, so, by law, Schmidt had to provide all the medical care possible. "I intubated the man. I did very aggressive things. It didn't feel right at the time," says Schmidt. "There was just this sense in my mind that this is a 92-year-old very elderly person with bad heart failure. And about 15 minutes later, when I was able to get ahold of the family. They said, 'You did what? We talked about this! He didn't want it. We had a big conversation in his room about a week ago.'" Oregon has been in the forefront of trying to make sure a person has as much control over the end of his or her life as possible. The state pioneered a form known as a POLST, for Physician Orders for Life-Sustaining Treatment, that has been adopted by 14 states and is being considered in 20 more. The form offers many more detailed options than a simple "do not resuscitate" directive. That's good for Helen Hobbs, who is 93 and lives in an assisted living facility in Lake Oswego. Age has bent Hobbs low and she uses a walker, but she is very clear-headed on this topic. "You know, death is part of your life. You know you're going to get there someday so let's make it as pleasant as possible," Hobbs said. "I mean, would you like to stay in an unconscious condition for years while people kept you alive with feeding and hydration tubes? No." Hobbs outlined her end-of-life medical decisions a couple of years ago, after a serious surgery. She used Oregon’s form. It is signed by her doctor, so it's legally enforceable. In a case that challenges Britain's definition of murder, a severely disabled man who says his life has no "privacy or dignity" will be granted a hearing on his request that a doctor be allowed to give him a lethal injection. 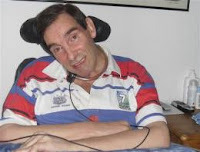 Tony Nicklinson suffered a paralyzing stroke in 2005 that left him unable to speak or move below his neck. The former rugby player and corporate manager requires constant care and communicates largely by blinking, although his mind has remained unaffected. "I am fed up with my life and don't want to spend the next 20 years or so like this," Nicklinson said in a statement. In January, Nicklinson asked the High Court to declare that any doctor who kills him with his consent will not be charged with murder. On Monday, a judge said the request may proceed, making it the first right-to-die case of its kind to get a hearing in a British court. The 57-year-old's condition is stable, though Nicklinson has refused since 2007 to take any life-prolonging drugs recommended by doctors, including heart medication or blood thinners. Defense attorney Catherine J. Flynn knows how electronic medical records can overwhelm — and often change — the course of a medical liability lawsuit. In one of her cases, a New Jersey doctor being sued for medical negligence has been accused by a plaintiff’s attorney of modifying a patient’s electronic history. A printing glitch caused the problem, Flynn said, but the accusation has meant extra time and defense costs. Computer screen shots were reviewed, more evidence was gathered and additional arguments were made. System breaches. Modification allegations. E-discovery demands. These issues are becoming common courtroom themes as physicians transition from paper to EMRs, legal experts say. Not only are EMRs becoming part of medical negligence lawsuits, they are creating additional liability. Across the country, the move from paper to electronically stored health data is growing. The 2009 federal stimulus package provided federal funds for the creation of a health information technology infrastructure. Health professionals can receive up to $44,000 for Medicare or nearly $64,000 for Medicaid by adopting electronic medical records. Studies are mixed about how EMRs will impact liability for physicians. A 2010 survey by Conning Research and Consulting, an insurance industry research firm, found that most insurers believe medical claims will rise during the move from paper to electronic records. Lawsuits probably will decrease after an adjustment period, the study said. A report in the Nov. 18, 2010, issue of The New England Journal of Medicine said doctors should expect a varied landscape of liability risks and benefits as EMR adoption unfolds. Whatever the future holds for EMRs, it’s important that doctors reduce their liability risks during system implementation, legal experts say. Being aware of potential legal pitfalls prevents doctors from falling victim to technology intended to do good — not cause hardship. Will Patient Safety Initiatives Harm Physicians?